We believe a company is only as good as its people, and we know how to spot a good egg. The talented professionals behind the delivery of Compucare are a group of dedicated, motivated and skilled experts who inspire Streets Heaver to be better every day. And we’re incredibly proud of them. What was your first job and how did you get into your current field of work? My first ever job was working as a waitress in my local pub in the village where I grew up. But, I guess my first “proper” job after I finished university was working as a Deputy manager for a high street clothing store. I then worked for BT in their business broadband technical support department which then led me to my role within the Streets Heaver Support team. What do you enjoy about working at Streets Heaver? The attitude that no matter how long you have worked here, there’s always more to learn and there’s always someone there to help you do it. What never fails to make you sad or disappointed? When you’ve been binge watching a Netflix series for months and you get to the end. Yes, it’s an brilliant series of books centring around ‘Bob’ a man who has had his consciousness transferred into drones and now spends his time exploring the universe. 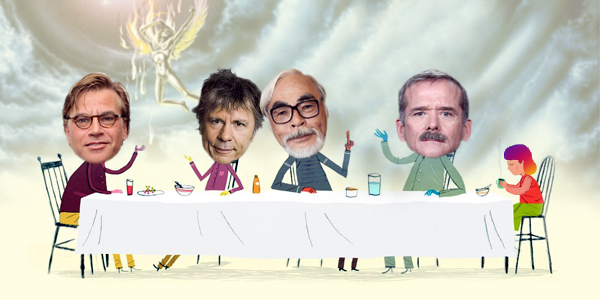 Which four famous people (living or dead) would you invite to your next dinner party? Tea or Coffee? And how do you take it? Depends how sleepy I am. Regular mornings just a tea with milk. If it’s been a late night, I might need to crack out instant espresso. What is your favourite joke or one you have heard most recently? Why do Scuba divers fall backwards off the boat? Because if they fell forward they’d still be in the boat. What has been one of the greatest moments in your life so far? Being at the very front of an Iron Maiden gig whilst they played my all time favourite song, Flight of Icarus! Finally, if you could be any superhero, who would it be and why? Rocket Racoon – I mean, he’s a racoon that can talk…what more can I say.